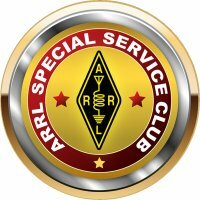 Members of the Radio Club of Tacoma also participate in the AMATEUR RADIO EMERGENCY SERVICE. Our local chapter is District 5, Pierce County ARES, and that organization's website is here. Also see this introductory presentation. When disaster strikes, ARES is there. ARES members prepare and make themselves and their radio equipment available in times of disaster - earthquake, flooding, volcanos, storms, and more. Western Washington District 5 ARES serves the communities of Pierce County Washington. ARES customers include Pierce County Department of Emergency Management, Camp Murray State EOC, the City of Puyallup Department of Emergency Management, Gig Harbor Fire District 5, the American Red Cross, Citizens Corps, CERT, as well as local hospitals, and other community organizations. The monthly ARES meeting is held on the third Thursday of each month, 7:00 PM at the Pierce County Emergency Operations Center, 2501 S 35TH ST, Tacoma, WA 98409 (map). Please see this schedule of training sessions and exercises as of 7/12/2018. These activities are held at the Pierce County EOC.